Got in on the tail end of the largemouth spawn in western Montana, specifically on the Flathead Indian Reservation. 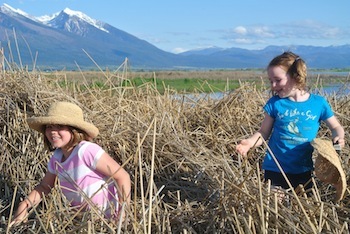 My girls had a ball hauling in a few good ones. Saw a few five pounders but they didn’t seem interested in leeches. Looking forward to the spawn being over and getting after them later this summer with poppers and other flies. I haven’t done a lot of bass fishing but this seems like a good year to figure it out. Got ideas for how to fish largemouth’s after the spawn? Let’s share some ideas and figure it out. Here are a couple shots of a modest bass, a couple great girls and some spectacular mountains. 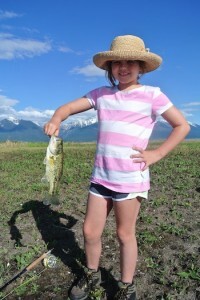 This entry was posted in Culture, Northern Rockies, Warmwater and tagged Bass Fishing in the Rockies, Flathead Indian Reservation bass, Rocky Mountains Fly Fishing. Bookmark the permalink.